While we don’t get much of a winter here in Gainesville (and thus don’t have a season in which no landscape maintenance is required), things do tend to slow down during this time of year. Grass, shrubs, and trees are not fully dormant, but they certainly are not growing as quickly as they do during the spring and summer. Additionally, there are no pressing timelines for planting during these colder months. So does that mean you should just ignore your landscaping? No way! Winter is the perfect time to make some plans for your yard so you’ll be ready to go when spring arrives! Many people make new year’s resolutions in January for everything from exercising more to making a budget to reading more books. Why not make some resolutions for your yard, too? Read on for some ideas, and make one more resolution: Let us take care of your Gainesville lawn care and tree service needs so you can spend more time in 2015 working on your other resolutions! How do you currently use your outdoor space, and how do you wish you used it? Now is the time to plan how you will install that water feature you’ve always wanted, plant that herb garden you’ve been talking about for years, or get your lawn into shape so your grandkids can enjoy a summer of barefoot fun at your house. Modern day subdivisions have many benefits, but privacy is not always one of them. If you long for a more secluded backyard or want to block that awkward sight line straight from your kitchen into your neighbor’s bedroom, you can do so with smart landscaping. Consider planting a line of trees or shrubs to create a natural barrier. If you have a fence or other structure that does not provide as much privacy as you would like, you can use climbing vines to help fill it in. 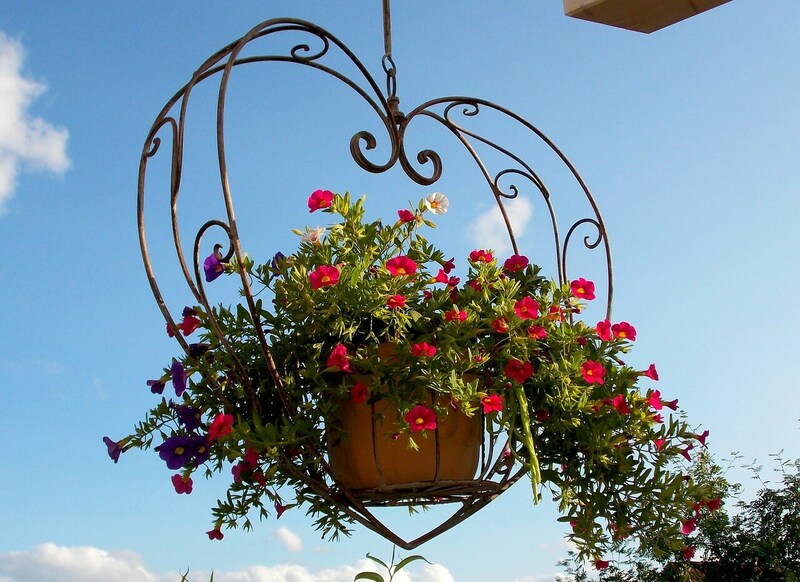 Bonus: they’ll also add beautiful color and visual interest to your yard! How does your home look from the street? Is it just… blah? If so, you don’t have to re-landscape your entire yard. Just think of some strategic ways to add color! You’ll be amazed at the difference it will make to add just a few key plantings at your mailbox and at the entryway of your home. Place planters on either side of the door or draw attention to your porch with hanging baskets. Annuals are cheap and colorful, and you can even change them out with the seasons.